Maribel has faced many difficulties in life, but she took on each with courage and the help of God. She is thankful that despite all of the struggles her family faced, they were able to survive. For more than twenty years, Maribel has owned a handicraft business in the Philippines. Despite her dedication and hard work, Maribel faced challenges with her business. She began to look up when a friend introduced her to Opportunity International and encouraged her to join. Maribel received financial training, a loan, and insurance, driving her to gain confidence as a businesswoman. Maribel used her loan to boost her business, strengthening her production and, in turn, increasing her sales. 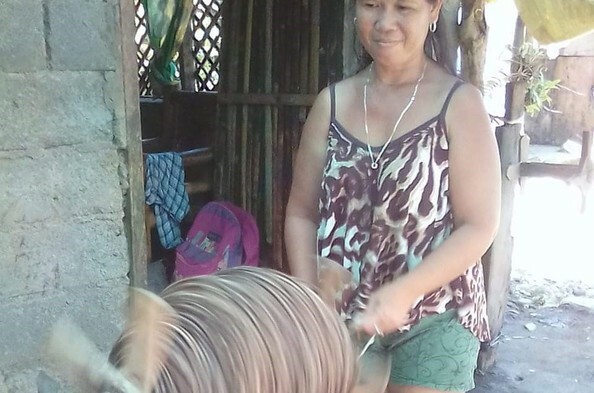 With her newfound income, she is able to better support her family, and ensure her children's education. Furthermore, she is growing her network of contacts and friends in her community. She is thankful for her family and friends for their love and support. Maribel hopes that in the future she can help her neighbors find the same financial security she now has.